Guard Tour Monitoring » Dani Data Systems India Pvt. Ltd.
A guard tour monitoring system (GTMS) is a system for documenting visits of employees such as security guards patrolling property, checking prisoner living areas, technicians monitoring equipment, climate-controlled environments, and police patrol. It helps to ensure that the employee visits at predefined intervals of time, records presence and performs predefined work, then reports and documents the status of the visit. 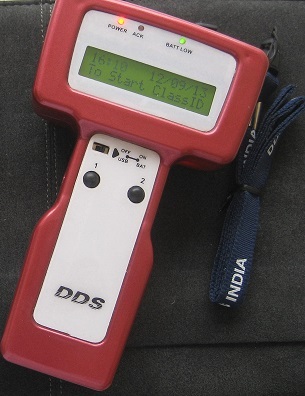 Modern systems are based on handheld RFID scanners and connectivity to cloud. The system provides means to record the presence of security guard/ employee with date time stamp at predefined visit/ check points called Tour Stations. ‘Tour Stations IDs’ are fixed on walls, trees, machines etc. The security guard/ employee on reaching these ‘Tour Stations” records his/ her presence by touching the GTMS Reader to the Tour Station ID. The collected data is transferred to PC or cloud software for generating reports. 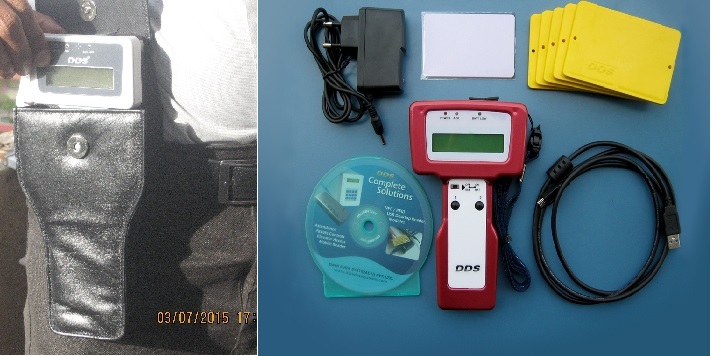 Guard Tour Reader – each guard carries the reader when visiting check points/ tour stations. Tour Stations – Yellow Tags are fixed to trees, wall etc to identify a location or ‘Check Points’ where guard visits for inspection. Number of tour stations required depends on the area to be monitored. Guard Card– These are assigned to each guard to identify guard on tour/ patrol. GTMS IoT enabled reader is for monitoring multiple sites. The data is stored in DDS cloud software. A SIM card is required. All users access reports from PC/ Laptop/ mobile after login with secured username and password. The 2 Button GTMS reader is cost effective monitoring solution for small, single site security guard tour monitoring and EVENT reporting system. The software is installed on desktop and data is transferred to PC manually by connecting the 2 Button GTMS reader to USB port of PC.